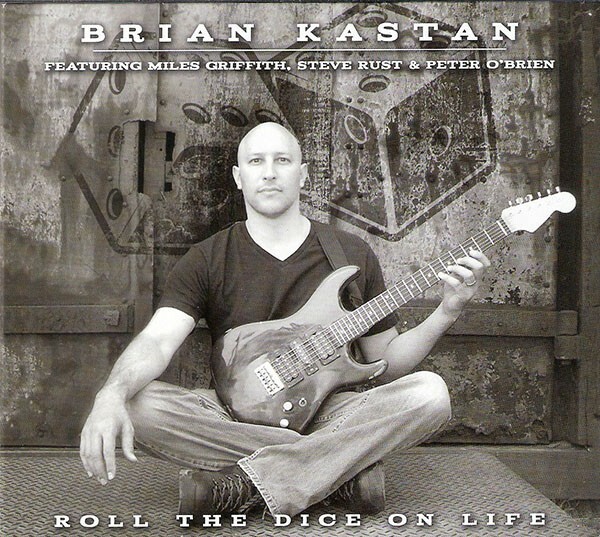 Brian Kastan: "Rolling the Dice on Life"
The premier late-1960s artists who pioneered the electrification of jazz, generally referred to as fusion, also embraced the spontaneous fire of first-generation free jazz as it was still blazing, giving their music a delirious forward motion that packed a dynamic texture closer to rock. On his impressive new double CD, New Paltz guitarist/composer Brian Kastan brings a similar edge and ardor to his music, while updating the ensemble sound for today. With the overdrive continuously cranked even on quieter numbers, Kastan possesses a remarkably expansive melodic vocabulary, notably present in his intriguing compositions like the prog-inflected title track, "My Kids Dance Party," and the Zappa-esque "Is What It Is." It's a measure of Kastan's confidence as a player that he has enlisted—perhaps I mean unleashed—an accomplished, punk-raw, funk-tight band for this recording, featuring Peter O'Brien on drums, Steve Rust on bass, and Miles Griffith on vocals. Griffith, easily one of the finest jazz vocalists working today, is so powerful a presence you could be forgiven on some tracks—say, his own, bananas "Rat Attack"—for thinking this was his date as a leader. These musicians' febrile, improv-fueled approach, often punctuated by Kastan's Sharrock-ian buzzsaw tremolo, makes for many breathless moments; possibly too many. More pieces like Kastan's lovely ballad "Those Grey Days" would have tempered the tumult roaring throughout both discs, as well as highlighting the band's considerable breadth. Still, it's hard to complain about the embarrassment of passionate riches to be had on this release.